In the video above, dressbarn founder Roslyn Jaffe discusses the experience as Bpeace’s first Host Company. Roslyn was recognized with the Bpeace Pioneer Gamechanger Award. Roslyn Jaffe wanted to change the way women shopped. In an effort to make fashion affordable, she opened the first dressbarn store in Stamford, Connecticut. A woman to be admired in any era, Roslyn did all this all in 1962. She grew dressbarn into a brand we recognize today for its commitment to style and value. Fifty years later, at over a billion dollars in sales, dressbarn remains one of the great unsung heroes of American retailing. 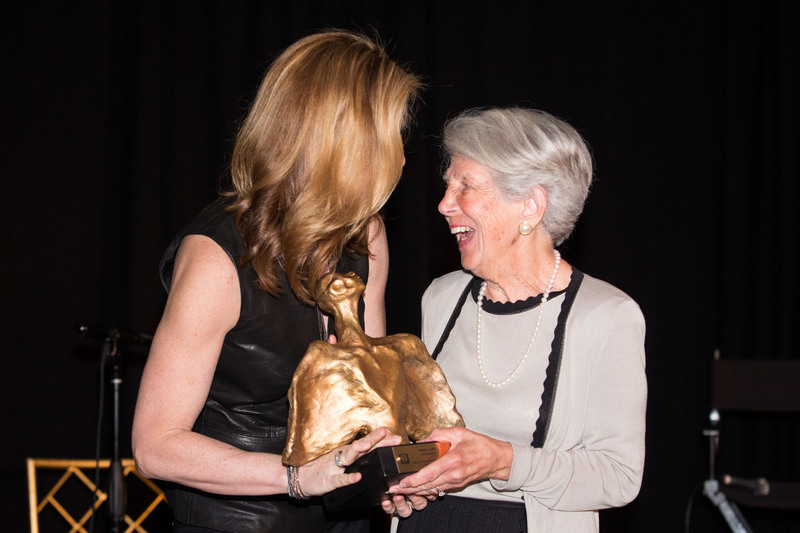 Roslyn Jaffe, founder of dressbarn, receives the Bpeace Pioneer Gamechanger award from Board Chair Kate Buggeln at our 10th anniversary Gala. As a poor 1983 college grad, I remember buying my first business suit from dressbarn. Thousands have done the same. There is no question: Roslyn is a game changer for women’s economic participation in the United States. She is also a game changer for Bpeace and women entrepreneurs around the world. In 2005, dressbarn became Bpeace’s first Host Company when Bpeace and the State Department brought our first group of Afghan businesswomen to the United States. It changed everything. 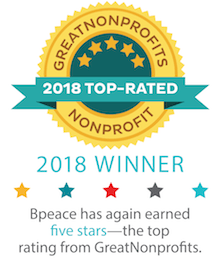 dressbarn helped Bpeace understand the full importance of Host Companies for their work. Host Companies bring business context and experience to lands where war, not commerce, is its known history. They bring hope. Beyond sharing valuable expertise, Bpeace Host Companies help business owners find a way forward to grow their enterprises and create jobs. We honor dressbarn and Roslyn for creating heartfelt and inspiring connections with entrepreneurs, which still have a lasting impact. Roslyn set the bar for excellence throughout her life, and did so again with Bpeace. In the footsteps of one came another 129 Host Companies. I join Bpeace in thanking Roslyn for her commitment to helping entrepreneurs and supporting this organization. It was an honor to award her Bpeace’s Pioneer Gamechanger award. 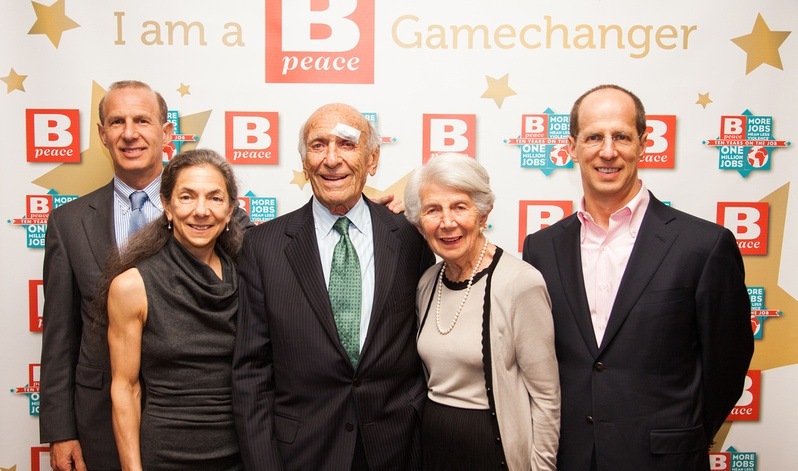 [ The Jaffe family celebrates at Bpeace's 10th anniversary Gala. From left: Richard, Lynette, Elliot, Roslyn, and David Jaffe. David's wife Helen, also in attendance, is not pictured in this photo.